A heating element is a nichrome coil embedded in a steel tube using ceramic. In a toaster-oven they wire 2 in series, so each element is designed to see 60V. I had a 12V power supply, so I wanted to use 1/5 of the total element length. 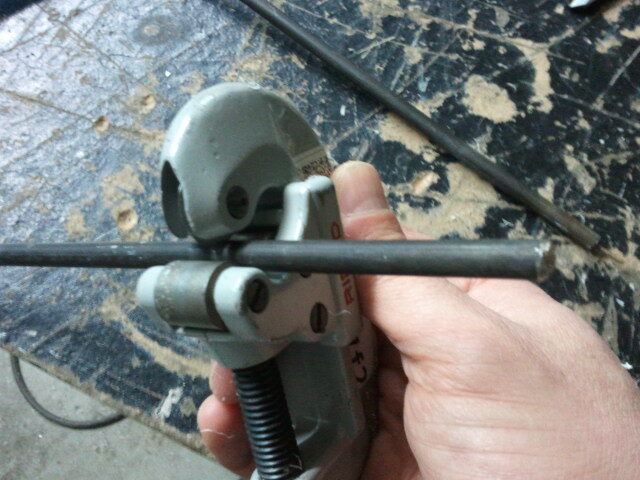 A pipe cutter made quick work of the cuts. I needed to attach metal contacts to the wire. 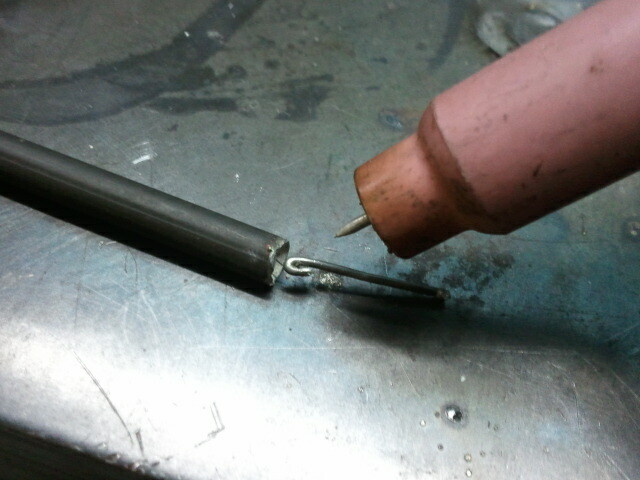 To give myself enough wire for a bond, and to have room to support the contact, some free space would be required. 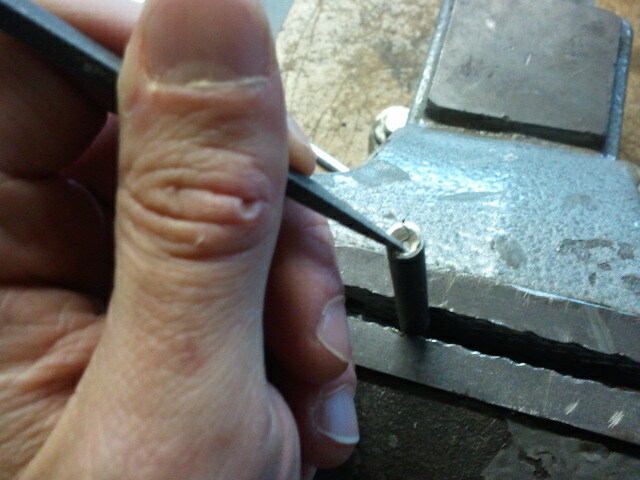 A metal file and some elbow grease left me with a 1/4″ cavity at each end of my cut section. Attaching things to nichrome is a tricky proposition. Because it gets so hot you can’t use solder, and mechanical connections are unreliable. I decided TIG welding was the way to go. Easy in theory, blindingly difficult (for me) in practice. 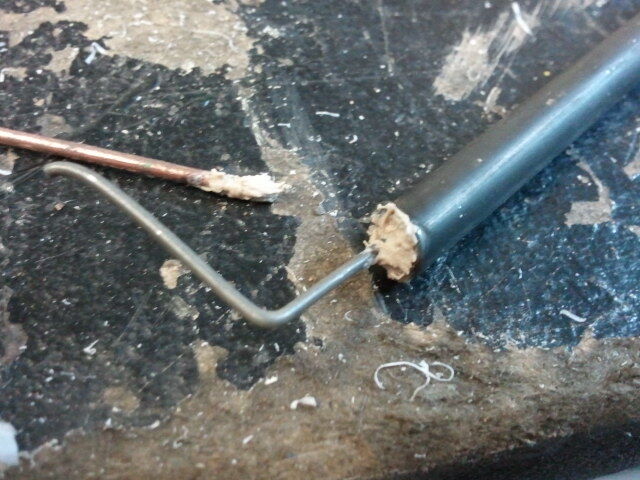 In the end though, welding for 250mS at the lowest setting created a permanent bond bond between contact and wire. To keep this welded bond electrically isolated, and to give the contact some rigidity, I filled the previously-created cavity with furnace cement. Next time around I might do this in several small additions rather than all at once. I think that would give me a more solid fill. It actually works! 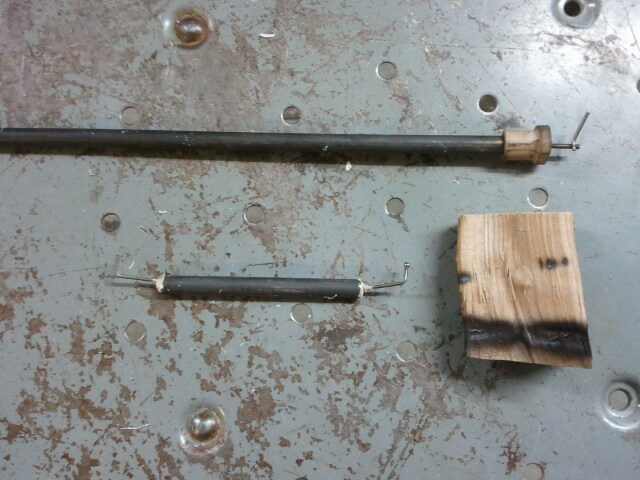 I applied 12V to the element and was easily able to make some wood smoke. It didn’t get red-hot, but I suspect this is because my cut section was a bit long. 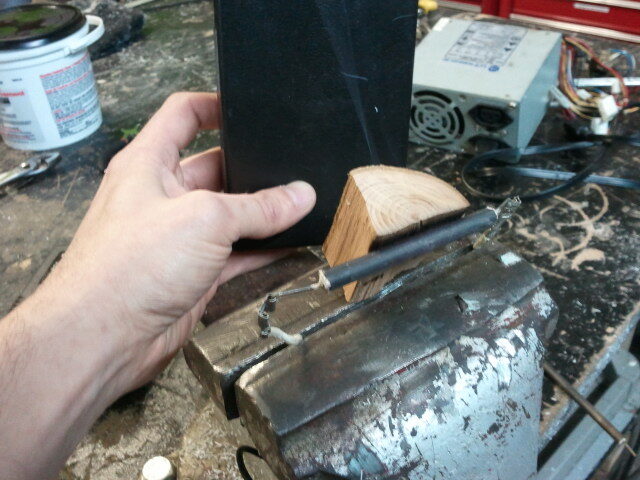 At any rate, I’m really excited at the prospect of making inexpensive small heaters for use in my projects. 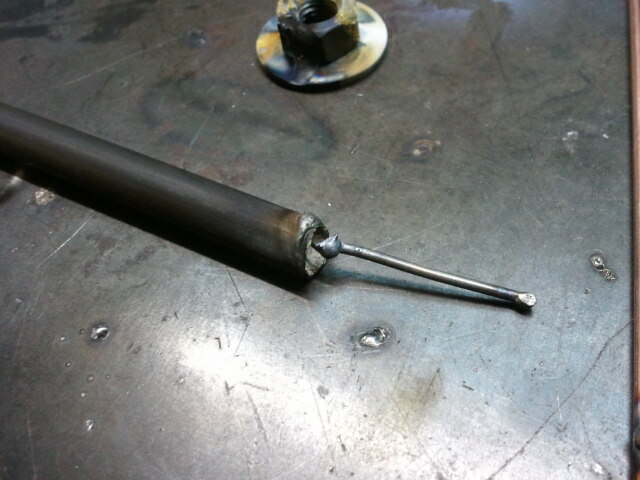 I should probably get some more welding practice first though. This entry was posted on Wednesday, April 4th, 2012 at 7:38 am	and is filed under Mechanical. You can follow any responses to this entry through the RSS 2.0 feed. You can leave a response, or trackback from your own site. 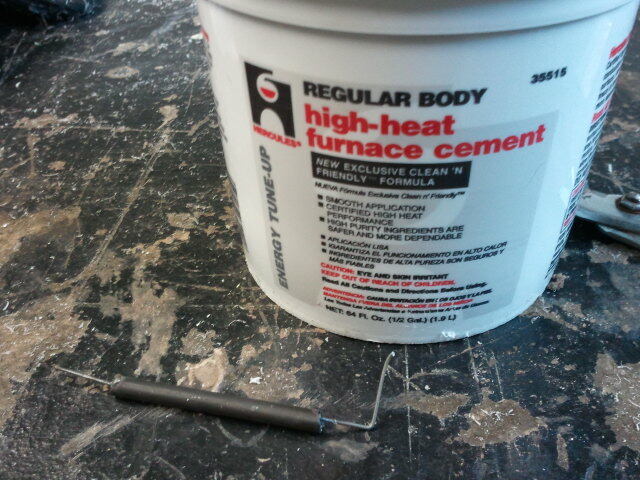 Nice, would also work for etchant tanks etc if put under glass with an inert oil such as silicone as the heat carrier.